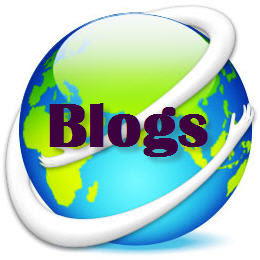 We've added a new section to our sidebar, International Blogs We Love. Currently, we've shared some of our favorite French décor blogs. As we add other finds, we'll update you. Une cigale à Paris, author Mathilde Dugueyt provides this summary of her blog (roughly translated): "Small pleasures and some grains of sand: between Paris and the South, I take you along the road with me. Streets paved with fields of olive-trees, zinc counters with shaded terraces, from the Seine to the Mediterranean, here are my notes from wandering…"
You'll find art, décor and a few travel tips as you surf. Dans l’air du temps, author Cassandra. Reflexions on fashion style, décor, beauty and cuisine. le blog deco de mademoiselle, author Karine. Young and fresh takes on décor, garden and a splash of fashion. Lots of color, interesting and economical ideas focusing on small details ... that can transform a room. Courage, readers, as these blogs are in French. But the pictures convey the ideas and inspiration ... and if you really want something translated, drop us a line or a comment and we will accommodate!